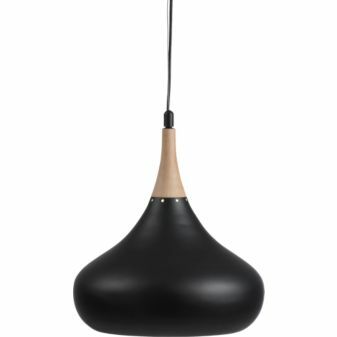 I immediately thought of Tom Dixon's "Beat Light Fat" pendant, which I've been admiring for years. 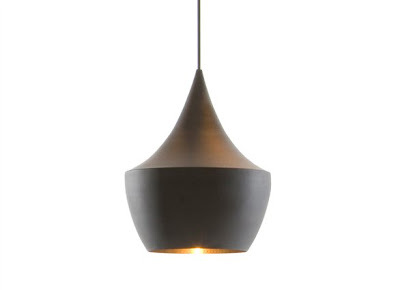 The CB2 price: $250, Tom Dixon's light: $500 for the smaller pendant and about $1000 for the larger version. The beauty of Tom Dixon's light is in the details. It has an architectural appeal and the interior is hammered gold. Its a real beauty. If you have to save a bit on the budget, I can see the CB2 version working quite nicely as an alternative. To recreate the gold interior, apply a bit of gold leaf paper to the interior or even gold spray paint could do the trick. I might suggest doing something different to the maple wood as well. A walnut color might work better with the gold interior.